Spring is an exciting season for movie buffs and entertainment geeks alike. With all the new movies coming to theaters, it can be hard to decide which ones to see, and if you see all of them you won’t be able to pay your rent for the next three months. Thankfully, I have acquired a list of the most worth-it movies you should see this month. Grab some popcorn and enjoy! 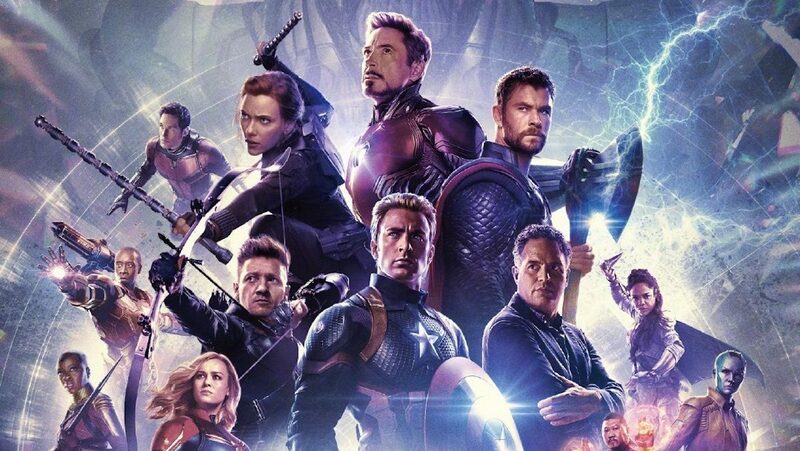 Endgame – April 28 – Wow guys, we got though Infinity War, we can get through this. Infinity War literally shook the world with its ending and “killing” of half the Marvel characters. I’m pumped to see what my Avengers are gonna do to avenge (see what I did there) the fallen. Shazam – April 5 – I know we’re used to pretty serious superhero movies with a grown man learning to become a hero and save the world, blah blah you’ve heard it all before. This is not that movie, it centers around a teen that becomes a superhero when he says Shazam. It follows him through his journey as he finds out what it truly takes to be a hero. Us – out now – I just watched this movie and OMG, I was on the edge of my seat the whole time. This movie is truly a thriller but does have some comedic parts within. While watching you should try to keep in mind that the movie is a message about today’s society and not just a regular murder movie. Dumbo – out now – AAAHHH! Disney is always coming through with the best kids movies. This movie is going to take you back to your childhood and have you reminiscing about the good ol’ days. This is another live action version of one of Disney’s classic movies and I’m all for it. Pet Sematary – April 14 – If you’re a fan of Stephen King movies or books you’re going to love this. This is an unsettling horror movie about dead pets… and kids. If you love horror, this one’s for you and if it’s not, have fun trying to sleep at night after this. Hellboy – April 11 – This is a reboot of the original series. Though the first is a classic, I’m happy to see a darker take on this comic book character. This movie has all new actors and a more sinister Hellboy and plot. Little – April 11- This movie is filled with black girl magic. A comedy about a mean businesswoman being turned into a child is just what I need to get through the rest of this year. This movie also had a 14-year-old girl as one of the main actresses and as one of the producers of the movie. The Best of Enemies – April 5 – Guys, don’t let this movie fall through the cracks because your big superhero movies are coming out. This is a story of a KKK leader and a black woman fighting to integrate schools. They eventually become friends, plus Taraji P Henson is the star and I have yet to see her in a bad movie. Missing Link – April 10 – You know I had to put an animated movie on the list. This is a feel-good family movie about Big Foot going on a journey to find his family and meeting some friends along the way. This movie looks really funny plus Hugh Jackman is in it, so you get to hear his voice for an hour and a half, which is definitely a plus. The Curse of La Llorona – April 17 – If you like the Annabelle movies you are going to love this. This movie was made by the same man who directed Annabelle and Aquaman. This is about a ghost who preys on children and lures them into the water and kills them. I hate scary movies, so if I watch this I know I’m going to need to change my pants after.